I am Jack Byno, a Dallas County traffic ticket lawyer and I have represented clients in all of the municipal courts of Dallas County since 1994. I can help you with your speeding tickets, CDL violations, lifting traffic warrants, and driver's license suspension hearings . My practice is 100% dedicated to working with traffic tickets and other driver's license issues. Other attorneys may dabble with traffic citations, but it is the centerpiece of my practice. If you need help with a Hutchins, Texas traffic ticket contact the attorneys of Jack Byno & Associates. 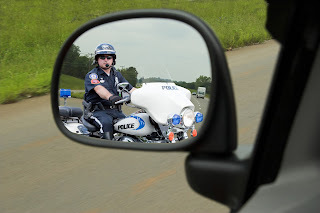 I am a speeding ticket defense lawyer that represents clients in Hutchins, Texas. The attorneys of my firm can appear in court on your behalf and try to keep the citation off of your record by requesting deferred adjudication. Not every driver qualifies for probation on a speeding ticket . You do not qualify if you have a CDL, had a deferred adjudication recently, were charged with speeding in a construction zone with workers present, or if the speed you are accused of is too excessive. Contact me to see if you qualify for probation on a speeding ticket in Dallas County. If you have an outstanding traffic warrant in Hutchins, Texas, you can be arrested at anytime or place. In the weeks leading up to the statewide warrant roundup , many police departments have been recording specific locations in Dallas County, Texas that they plan to target. This information is being collected by the Hutchins Police Department and shared with other law enforcement agencies. Contact a lawyer to post bond and lift your traffic warrants before you are arrested. Did you get pulled over for speeding in Hutchins, Texas? Do you have a commercial driver's license ? Most people that have a CDL are truck drivers, bus drivers, firemen, and taxi drivers. The attorneys of Jack Byno & Associates understand that your livelihood dictates that you must keep a clean driving record. We cannot make any guarantees to the outcome of your case, but we can use our experience to do our best to help you in the Hutchins Municipal Court. Contact an attorney to discuss your Dallas County CDL & trucking violations. Jack Byno has been representing clients in the Municipal Courts of Dallas County and else where since 1994. Our law firm is entirely devoted to the defense of speeding tickets, CDL violations, lifting traffic warrants, and fighting driver's license suspensions . Contact our firm if you need a Hutchins traffic ticket lawyer.